Give the gift of relaxation to the special woman in your life! This presentation worthy premium gift box contains one 2 lb. Luxury Bag of Sleep Lavender Bath Salts and one 2 lb. Luxury Bag of Detox Bath Salts. 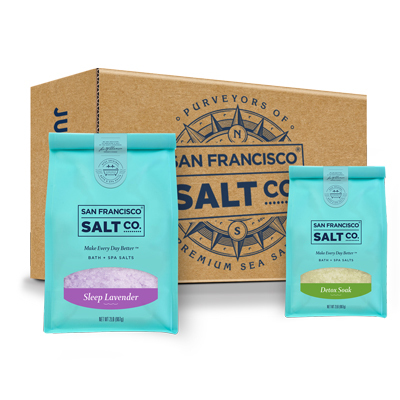 Our Sleep Lavender Bath Salt is a fine/medium grain blend of pure Pacific Sea Salt and all-natural Lavender Essential Oil, in a light purple color. 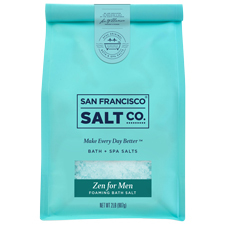 This therapeutic salt blend promotes relaxation and a deep night's sleep, while soothing muscle aches and pains. 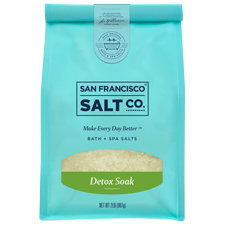 Our Detox Bath Soak is a fine/medium grain blend of Pacific Sea Salt and all-natural Kelp Powder, Green Tea Powder, Vitamin E, Aloe Vera, & Lavender and Rosemary Essential Oils, in an all-natural light khaki color. 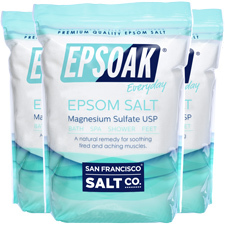 This unique wellness soak removes impurities, detoxifies the skin, and soothes sore and tired muscles. Sleep Lavender Ingredients: Pacific Sea Salt, Lavandin Hybrida Grosso (Lavender) Essential Oil, Glycerin (Vegetable Glycerin), Tocopherol (Vitamin E), Aloe Barbadensis (Aloe Vera) Leaf Juice, Ultramarine Violet (Colorant). Detox Ingredients: Pacific Sea Salt, Laminaria Digitata (Kelp) Powder, Lavandula Officinalis (Lavender) Essential Oil, Rosmarinus Officinalis (Rosemary) Essential Oil, Camellia Sinensis (Green Tea) Extract, Tocopherol (Vitamin E), Aloe Barbadensis (Aloe Vera) Leaf Juice.